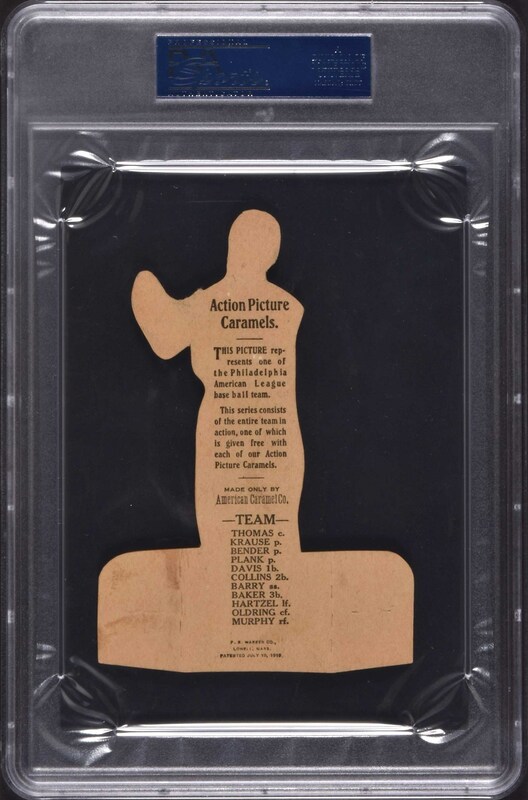 Lot # 232: 1910 E125 American Caramel Die-cut Harry Davis - Highest Graded! Graded VG-EX 4 by PSA. This is the ONLY example graded at this level with none higher! 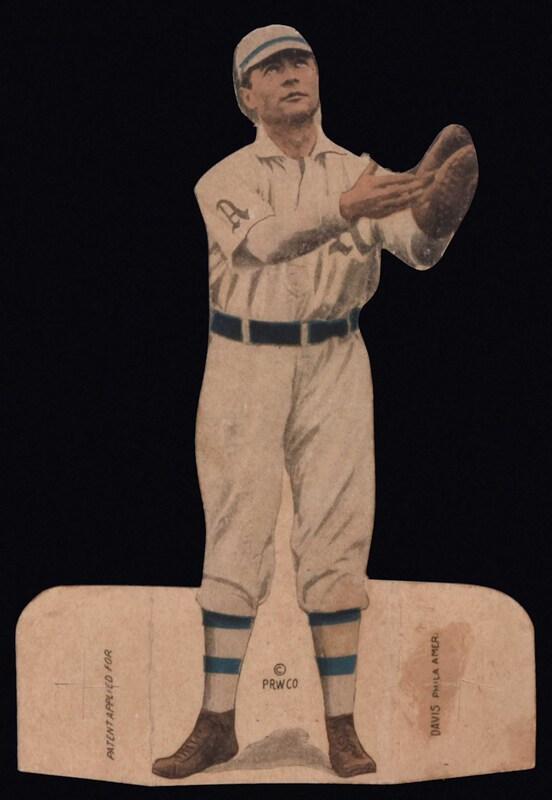 Rare high-grade example of Harry Davis (Philadelphia Athletics) from the E125 American Caramel series. This card is a gem for this condition-sensitive issue! E125s have always been held in the highest esteem by advanced collectors both for their extreme rarity as well as for their very striking and unique design. 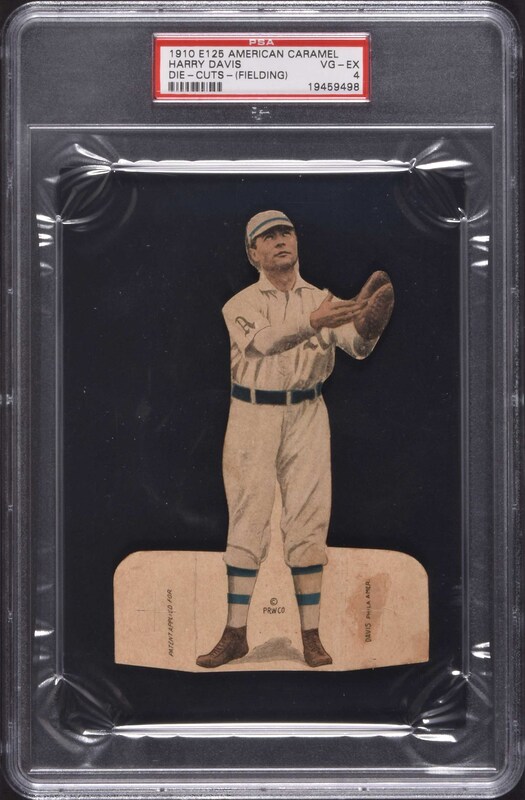 The fragile nature of all die-cut cards and the easily broken flaps at the base of E125s, which allow them to stand, make complete, high-grade examples, such as the offered card, all the rarer. While VG-EX may not sound impressive for other issues of the period, it is an exceptional grade for an E125. In fact, only three examples of any subject have ever been graded higher by PSA! This E125 Harry Davis (fielding pose) has survived complete. It clearly has a far stronger appearance than even suggested by its PSA-assigned grade and has been downgraded to VG-EX due to creasing across his neck and a light stain on the right flap. The card otherwise presents with a very strong Excellent appearance. 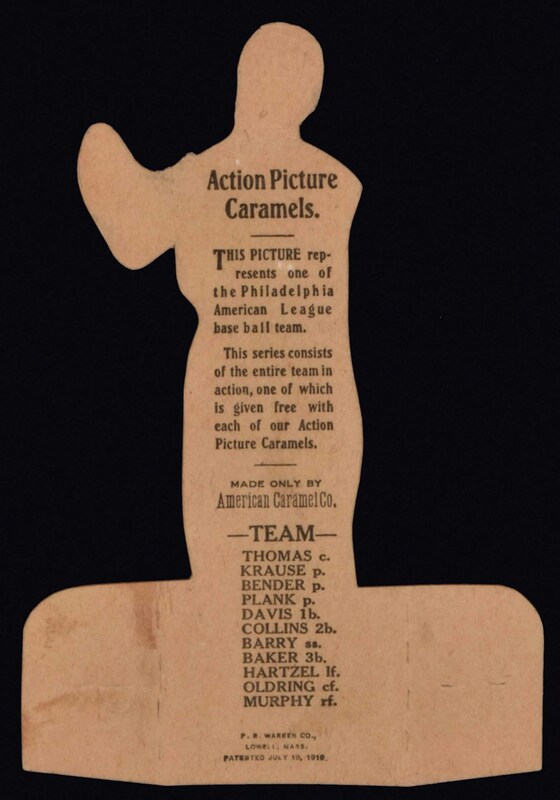 The reverse of the card, which features a complete checklist of the Philadelphia Athletics in the set and advertising for American Caramels, is bright and clean. This is a magnificent example in tremendously high grade from one of the rarest and most condition-sensitive of all caramel-card issues. Reserve $300. Estimate (open).